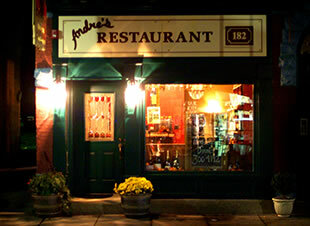 Andres Restaurant, Newton, NJ: A dining review. Vegetarian, Vegan, and Gluten free selections are available. Recommended For: Diners who enjoy well prepared food and fine dining amenities with romantic Ambiance. Diners who prefer a casual family dining setting with a large selection of traditional menu items. Recommended dishes: For dinner entrees, try the Duck Breast, pan Roasted with blood Orange Glaze; and the Special fish of the day, pan roasted with wild mushrooms. Liquor: A full bar and a good selection of wines. This exceptional fine dining bistro and wine shop in rural Sussex County is a great place to celebrate a romantic evening or a special occasion with a small group of friends or family. It is upscale ambiance in a small rural town. Located in a storefront on Spring Street, the interior is elegant, cozy, and charming. Co-owner's Tracey deWaal, with a warm welcome, and her husband, Andre, a 1988 graduate of the CIA, serve up well prepared, creative cuisine, with fresh local organic ingredients. The menu at Andre's is a fusion of French and American, with a hint of Caribbean flavor on some dishes. A place to revisit as the menu changes twice monthly.. Vegetarian, Vegan, and Gluten Free selections are available. The modestly priced Bistro menu is available every night except for Saturday. 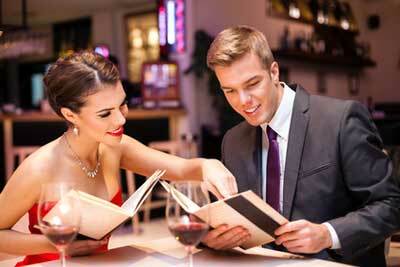 The selections can be ordered a la carte or as a complete five-course dinner. Ala carte selections include a tasty salad with a pungent Dijon mustard vinaigrette. Their "Special Sunday Theme Dinners" are noteworthy. Save room for desserts, they are to die for, especially the Chocolate, Chocolate, Chocolate. The are family and child friendly and offer an imaginative kids menu. The service at Andres restaurant is very warm, friendly and knowledgeable. Discover the best romantic trips or weekend getaway in New Jersey that appeal to couples with a variety of interests and lifestyles. New Jersey Leisure Guide is the largest single source of complete and impartial New Jersey restaurant ratings and reviews. Learn more about the process we use to rate New Jersey restaurants.